...never mind why... today's Secret Ops fiction is up! A pair of e-mails and an ICIS update make up today's score... quick suggestion, read the ICIS update *first*, and everything will make a lot more sense. It's all coming to an end... a horrible firey end. By that, I of course mean that Byydo has released the final version of Ace's Happy Donut Fighter for Prophecy. Grab it here here, with the foresight that we shaln't see a new version until he updates it for Secret Ops. Yet again, HCl has performed miracles and released his patch to place the Banshee from WCIV in Secret Ops! Download it locally here and don't forget to read the readme file for instructions. And that's not all... CIC has scored a screenshot of the next model to be converted, the Goran from Armada! Today's bit of Secret Ops fiction is up! Head on over to the SO site and take a look at a (fairly important) report from Capt'n Enoch... which sort of explains the dual nature of the upcoming Duel (Episode 6, not a pun... I hope). What was involved in programming Secret Ops? How much of a jump from WCP is it? Secret Ops is sort of an evolutionary step from Prophecy. One of the first things we did was modify the existing Prophecy code base to allow for the episodic mission system. We learned a lot doing that, and we are already working on some new ideas to make the episodic system even better for future releases. The rest of the programming consisted of resolving issues that remained from Prophecy, adding and improving game functionality, and optimization. Do you see a multiplayer WC game in the future? Multiplayer WC is something that we would certainly like to see. We're spending a great deal of time working out exactly what would make a great multiplayer space combat game. It's a little tricky building something that will be fun because space is a very empty place. Combat usually regresses to just 'jousting' with the other players, so we're reassessing the game mechanic and the environments in which you fly in order to make sure that the multiplayer Wing Commander experience is a great one. Who Do You Want To Devastate Today? Episode 6 - Day 1 fiction is now up at the Secret Ops site, including info on how best to fly the Devastator for all of you Plebes out there. Only this time they are of the software type and have crept in to HCl's current project, the WC3/4 - WCP/SO model converter which are almost certain to delay work. Model conversion is going to stop until the bugs are out, but we've scored some screenshots of the fighter voted second best in our WC4 poll, the Banshee in the Vision engine! Enjoy.. Remember those way cool screenshots of an Arrow in Secret Ops we showed you way back when? Well, the ever uber-cool HCl has made his Arrow patch available to the public! Grab one right here, and read the attached readme.txt for installation info. What does a designer do? What did you do for Secret Operations? The designer works closely with the art and programming staff to generate the 'look' and 'feel' of the gameplay. Once the overall goals for the game are decided, the design team focuses on the creation of the game story, the fictional dialogue and the mission content. During the greatest portion of development, designers work through an editor called "MED" using a proprietary scripting language (that operates a lot like C++). With this editor and the powerful language associated with it, designers are able to create all of the game conditions that make for an exciting mission. On "Secret Ops" I was the Lead Designer. My responsibilities were to create the story, dialogue and mission objectives as "broad brush strokes" for the rest of the design team to flesh out later. What kind of qualifications does one need to become a designer? In order to become a successful designer, one will need to understand the mechanics of a good game. In this business it is easy to be confused (often intoxicated) by the memes and conventions of television and movies as an alternative to understanding the subtly complicated modes of gameplay/story interaction. Although understanding of mass media disciplines are crucial to building a believable script, they come in at a distant second to the understanding of CORE FUN. [Cinco] The most qualified game designers continually ask themselves and ask of their designs: What is the FUN THING that I do all of the time in this game? What is my production team doing to bring this FUN THING to fruition? The qualified designer is capable of eliminating the unnecessary in effort to focus on the elements of production that support the central FUN idea of the game. Wing Commander editing wizard HCl has sent us more screenshots from his latest project! This time they are of the Arrow, everyone's favorite light fighter from WC3 and many other games. Click the thumbnails to get larger images. September 24 was the anniversary of the destruction of Kilrah in 2669. Then Colonel Christopher Blair delivered the Temblor Bomb that shook the Kilrathi homeworld apart. This assault brought some forty years of fighting to a close. We have footage of Blair's attack here. The popular Blue's News site provided a link to our Secret Ops Guide in their September 26 news area under the heading "etc." They called our Evan "Hadrian" Adnams "Evna," but it's still a nice mention. The Wing Commander series has spawned a huge number of looky-likeys over the years and formed its own genre. The combination of compelling story line, cinematic cut scenes and space battles has been emulated - no, downright copied - in LucasArts' X-wing and TIE fighter, MircoProse's X-COM Interceptor and interplay's Conflict Freespace. But Origin were there first, developing a continuing story throughout the various episodes and employing a number of well-known actors, including Mark Hamill, Malcom McDowell and John Ryhs-Davies. 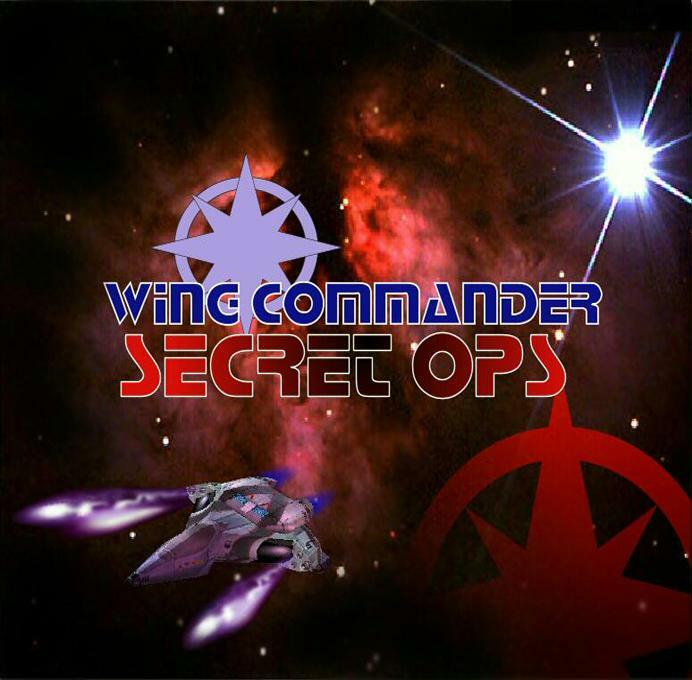 The very latest episode, Wing Commander Secret Ops, breaks taboos and traditions by being freely downloadable from the Internet (http://www.secretops.com/main.html). 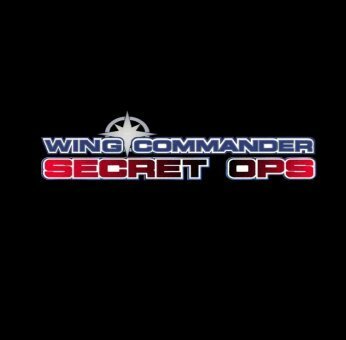 "Wing Commander Secret Ops is an entire Wing Commander game that is available as episodes over the Internet," explains Producer Rod Nakamoto. "Origin is giving away the game free of charge (except for standard Internet service fees) as a way of saying thanks to all our Wing Commander fans who've supported us since the series began in 1990. "Wing Commander Prophecy Gold is a compilation of Secret Ops and the original Prophecy so it covers a much broader range of exciting missions than Prophecy did on its own - approximately twice as many missions in fact." The events in Secret Ops take place directly after those in Prophecy, setting the scene in readiness for the next instalment, Wing Commander Strike Team. 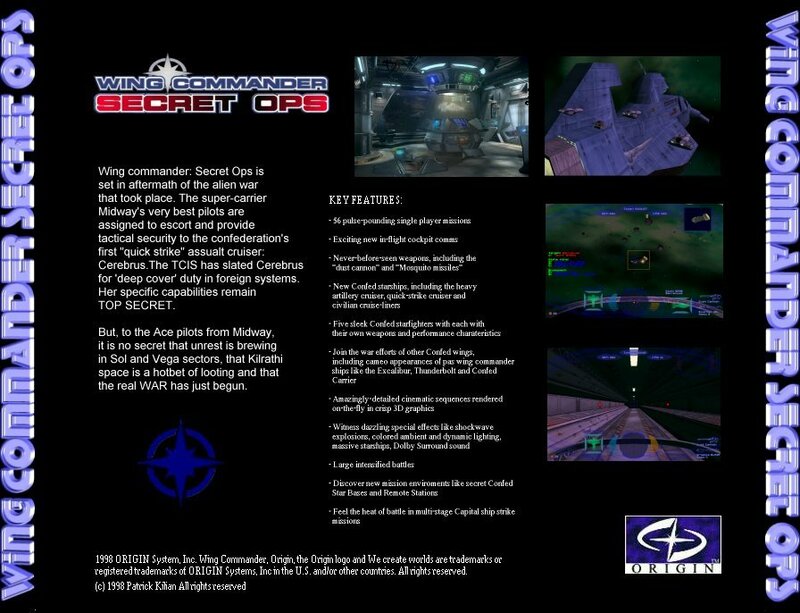 The Wing Commander Prophecy missions include all the stars and live video sequences that were in the original release of Prophecy, but because Secret Ops is also available on the Internet, it uses real-time films rendered by the game engine rather than live action video. However you still play the part of Casey, and many of Prophecy's characters return. And what of all that competition? "Wing Commander is the product that defined the space simulator market and has inspired many, many clones over the years," says Rod Nakamoto. "Wing Commander has always provided the most exciting missions weaved into the most compelling stories set in the richest sci-fi universe imaginable. Combine that with lightning-fast graphics performance and audio-visual effects and you have the best space combat experience on the PC. "Ultimately, we let the fans speak for themselves and they have made it clear that Wing Commander Prophecy is their favourite of the recent crop of space sims." The second of our interviews with Secret Ops team members, this time with senior graphic designer/technical art advisor Damon Waldrip... read on! design, concept drawings, 3d modeling & texturing (both cinematic & game art), lighting, animation, pretty much everything. in the world of computer games, an artist has to be a kind of jack of trades. however, each of us has our specialties. mine are two: one is modeling, the other is more on the technical side, working closely with the programmers to ensure that the art is well and properly integrated into the game engine. What exactly is involved in creating a new spacecraft? Is there any particular inspiration for your WC art? it varies. anything. everything. plants, animals, microscopic critters, all of nature, cars, buildings, and even other spacecraft. imagine that. Have you ever designed things that don't quite make it into the final game? oh yes. ouch. not even funny. but, thankfully, this happens far less often with experience. ... to me on the way to the TCS Cerberus. While watching the introductory video to Secret Ops Episode 5 hit F1... you'll be transported into the cockpit of a Devestator bomber in the middle of the cut scene! You'll have a few seconds to engage several alien capships, a multitude of alien fighters, and admire a Vesuvius class carrier (which, according to the mission's comments, is the TCS Mount St. Helens...). Exciting new CIC exclusive! For the next several days we'll be putting up responses to questions asked to Secret Ops team members. Today: WC Artist Sean Murphy (Just guess what he designed...). First step is to determine what the craft is needed for in the game - a bomber will be different from a spacecraft carrier or a fighter or a freighter. Then we begin sketches to try to come up with some initial approaches - very general ideas that will be the foundation of the design. From there we modify and tweak the look through several progressive sketches, eventually settling on something we all hopefully agree on. We then begin building the ship, a process which usually sees some final modifications and polishes to the design. And voila! I particularly try to create a real-world look to the art I create, to make it look like something that would logically evolve from the way things are designed and built today. I look at construction equipment, modern military craft (not just airplanes, but tanks, helicopters, even things like hovercraft), and the like. If I had to pick one movie that most closely approximated the WC feel it would be Aliens. Wing Commander extraordinare HCl warns people using his cool Secret Ops Mission Manager that they should back up their Secret Ops history files beforehand, just in case. Its time to head over to the Secret Ops site because the Episode 5 download is now out, weighing in at only 786k. Please note you may not be able to see the download link unless you run at 800x600 or higher. Attention UKians... the November issue of PC Zone's cover disk (on sale now!) contains the large Secret Ops episode one download. If you've been wary of downloading the large starter pack, you should grab a copy of PC Zone and start playing now... American's will be able to get SO in an upcoming issue of PC Gamer. I laughed, I cried, I read today's fiction... check out today's cool fiction update at the Secret Ops site. As for news and stuff on the movie, there isn't much, although I heard there may be some interesting news about the movie score surfacing soon.. The Secret Ops fiction for Monday and Tuesday is up! Due to the fact that the webmaster was unexpectedly away yesterday, both sets of fiction were released today. Now, go check it out... people complaining that SO has no story need complain no further. Have you been wondering about the exact stats of the new Dust Cannon? How about the Excalibur? Needed to know exactly how many Red Manta were attacking the Transport? Your wait is over. Hades and Hadrian have been working night and day to bring you the CIC's Secret Ops Guide. Check it out here. The missions are current up through Episode Four, but we are in the process of adding new things still. Wing Commander fanatic Dude sent me a series of missions for Wing Commander Prophecy he's created! In a moment of uniqueness, he's also made briefings! Get the missions here and the shockwave briefing here. A shocked Death sent me a copy of PC Gamer's new "Top 50 Games of All Time" list... anyone care to guess where Wing Commander was? Amazingly enough, it'll take over 50 guesses, since not even one WC made the list. Admittably not everyone in the universe shares the same passion for Wing Commander as some of us do, but to say that it's not one of the top 50 games ever? Impossible... go find somebody to complain to. Ace reporter and radio personality Hadrian has put up the latest Infoburst! 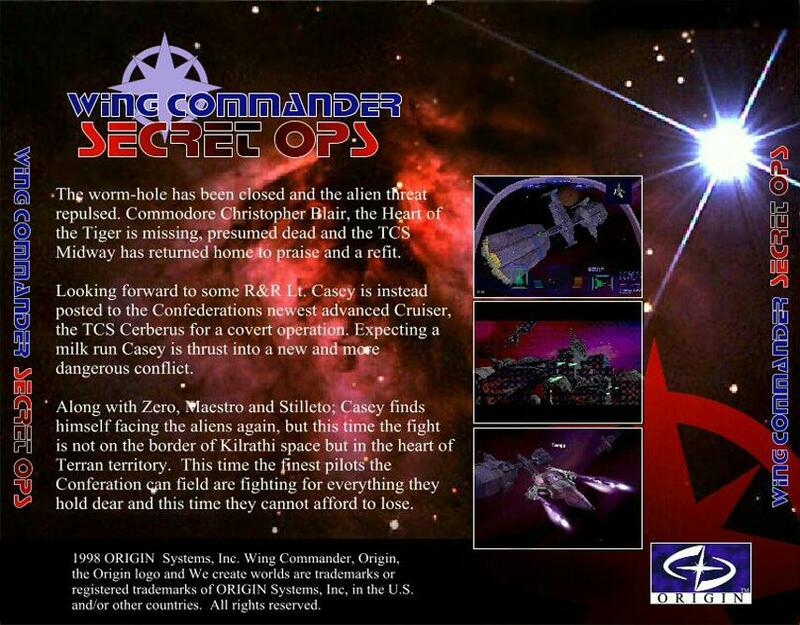 Head on over and check out a cool interview with Wing Commander composer George Oldziey. John Gilbert reports that this weeks episode of TV.com has a segment about Secret Ops, including an interview with one of its designers! TV.com has an article about SO on the web here. Responding to complaints that the SO icon could be better, Vesa Juusola designed a cool new one for everybody... check it out below, and grab it here. Much like the casualty numbers from the Kilrathi war, the number of times Chris Reid has posted to alt.games.wing-commander is beyond my comprehension. Anyway, a hearty congratulations on reaching the 15,000 mark to our man Crid... keep it up or we're all in trouble. Interested on getting your hands on some Gold? Of course, we're all anxiously awaiting its estimated October 14 release date... if you're desprate, however, you can preorder it from Electronic Arts! Head on over to the newly re-URL'd EA Store. Man among men Thomas Bruckner has released the final version of his much lauded WCPEdit! Grab WPEdit 1.53 here, and be sure to install the patch, available here. On this day in 2669 Confed successfully destroyed a planet in the Hyperion System with the Temblor Bomb developed by a Dr. Severin. This weapon was soon to be used to destroy Kilrah. We have video of the T-Bomb test here encoded in Real Media format. The SharkyExtreme news site mentioned Secret Ops. The little blurb can be found here. Thanks to Shiva. Yet again, HCl has performed miracles and has updated his mission compiler to make Secret Ops missions and has included a pile of extra features for good measure! It doesn't stop there: He's released his Secret Ops Mission Manager (SOMM) to aid you in installing the missions. For those of you who just want some more missions, HCl's "Recover the Maria Magdalena" and "Countdown to Extinction 2" missions are just the ticket. Thanks to Goliath on the Chat Zone for the info. It's Secret Ops episode download day again! Just go to the episode area for episode four, click the "Download Mission Data" button, and then select the episode 4 download. It's only a 660k file. Note: If you are running at a low resolution, you may be unable to see the "Download Mission Data" button, so please try changing to a higher resolution before asking where the file is. The CIC Staff is proud to announce that we've now surpassed 100,000 hits to the main page. Our counter began on August 1st, forty-six days ago, with the initial countdown splash page leading up to our Grand Opening on August 10/11. Our visitors have come from over 85 different countries around the world. The busiest day was when the main Secret Ops package was released and we accumulated more than 10,000 hits in a 24 hour span. Thank you all for supporting us and here's to the future and continued success of the CIC. Click here to view our Stats. Jumpstart, owner of the Killer Bees server, has reported that we now how more bandwidth available to access their site and download Wing Commander Academy. If you're had trouble connecting in the past, try again now. Check out our WCA Mirrors and Episode Guide here. It's that time of the day - twelve o'clock fiction! Check out today's selection, which is particularly well written. A new E-Mail and an ISDN article await you over at SecretOps.com. (Please note and fear the Crusader reference in the ISDN article). Killer Bees Squad Meeting on Tuesday, September 15 at 9 pm EST on the irc server irc.mircx.com, port 7000, in the channel #Killer-Bees. The first of the Episode 4 fiction is now up at Secret Ops. There is one new Eyes Only article and one new ISDN article. The fiction that you get is determined by what password you enter from the end of episode 3. If you enter no password you will get the default fiction. Assuming the cliche is correct then our lives are well spiced (is spiced a word?). The point being, Patrick Kilian sent me another set of cool SecretOps CD covers, for those of you who are in to that sort of thing... check 'em out! Storm mailed me a copy of his latest masterpiece, which just happens to be a skin for everybody's favorite MP3 player, WinAMP. Grab a copy here, or preview it below. It's Wing Commander: Academy time again! Thanks to the Killer Bee's you can once again download episodes of the world's greatest TV show. Make sure you check out the Episode Guide. Yesterday was Captain Ian St. John's birthday in the Wing Commander universe. Hunter died during 2668 in the attempt to uncover the secret Kilrathi Hakaga SuperCarrier force during the false peace armistice that culminated in The Battle of Terra. We're also celebrating one month since the grand opening of the CIC. I had a conversation with Jumpstart this afternoon and he has graciously offerred to donate space on the Killer Bees server to aid the CIC in regards to WCA. Thanks for all the kind words and patience while we sort this out. It does take a little while to upload something several times larger than the full Secret Ops package. We'll do what we can, stay tuned. 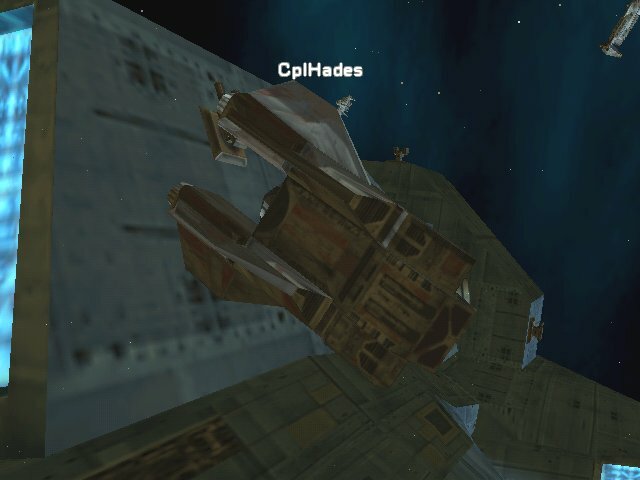 Since the server with the Wing Commander Acadamy rm's on appears to be down, we are currently finding them a new home. We shall let you know of the new location when the files are in place. If anyone out there would like to mirror 400megs of rm's, please email the CIC with details of your server, and we will get back to you as soon as possible. OK, you can stop reloading the Secret Ops site now....because EPISODE 3 IS UP! Go get it from here. Its only 600k. Its almost time to download the next installment of Secret Ops. As always, the folks at Origin have been busy and the last of the episode 3 fiction is now out. Get ready for the next download tomorrow, which will probably be around the size of 1 meg. On a related note, the Secret Ops site now appears to function fully with Netscape browsers. alt.games.wing-commander poster Kelvin Lim wrote a program to help those who have been trying to use multiple callsigns in Secret Ops. You can download it from the CIC here. Even if using two copies of Secret Ops works, this can be quite taxing in terms of disk space consumption. Anyway, for those who are interested, I've written a simple little program to switch between several different pilots for Secret Ops. It's a small 20 KB download at http://home.pacific.net.sg/~kelvinlim/sopilots.zip and brief instructions are included. Netscape users visiting the Secret Ops site may still be experiencing some difficulties viewing the fiction. Fortunately things are looking better under Internet Explorer now. Please be patient while Origin works these things out, the Secret Ops site is very complex. "S1 is the back cover, s2 is the front cover. Both are saved at 2X the normal jewel case size so people can shrink them down if they prefer or make a cd writing programme squidge it down to size. S2 is sized on the basis of a cover peice being 12.2 cm W x 12 cm H in size S1 is sized on the basis of a back piece being 15.1cm W x 11.8cm H in size. Both of these files are doubled up from this size basis. Even the side peices for the jewel case are there for people to see what they got if it's on a rack." Today's fiction is up, and Double Helix references abound! Check out all the excitement at the official Secret Ops site! Note that for some reason the 'default' fiction has an additional E-Mail, not available to people who use their passwords. The Episode Three area at the Secret Ops website is now available. There are no new fiction elements yet, but it's still too early to expect them. We'll have the announcement here when the new fiction is online. Thanks to Patrick Bertiaux. The CIC has put up a new Wing Commander Secret Ops Frequently Asked Questions list in the Secret Ops area to complement some other minor section updates today. The FAQ is just the beginning of some minor and very major upcoming Secret Ops section upgrades. Adrenaline Vault added a small section for Episode Two in their Secret Ops area. Nothing new, just a link to Episode Two. Check it out here. Worlds of Origin reports that Prophecy/Secret Ops Executive Producer Rod Nakamoto has left Origin. Best of luck to the man where ever he's heading. On a second note, don't panic, the future of Wing Commander is secure. Whoops, in regards to the Bugs speaking Croation post the other day, the correct translation is 'cattle of a Bandit' and not 'castle'. Sorry about that... (thanks to all the people who wrote in... which is strange, because the counter says nobody from Croatia visits... stupid counter...). Locke has released a new version of his acclaimed WCPCrazy! As always WCPCrazy allows you access to unlimited guns, missiles and decoys. So what's so special about this version? It also works in Secret Ops! Grab a copy here. 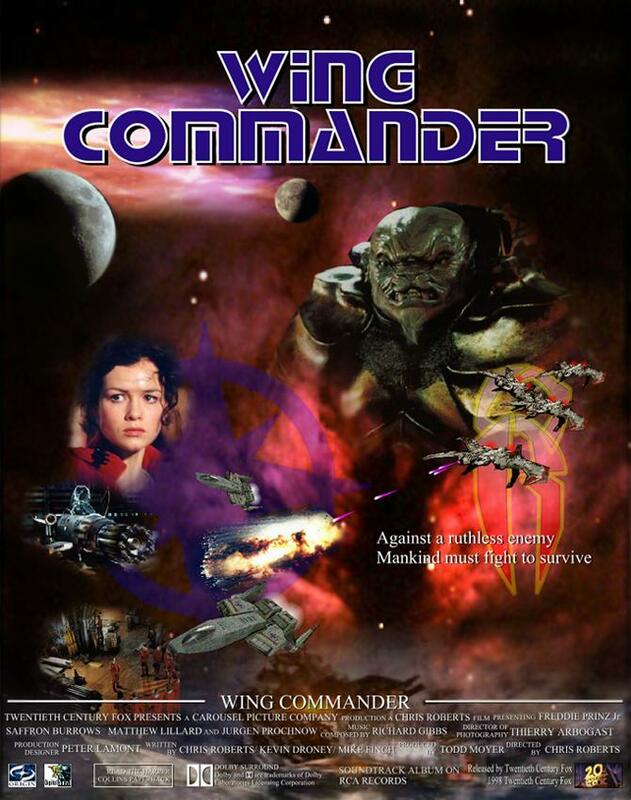 Reddie's Wing Commander Movie Page asked PR Director Henry Eschelman for information about the movie poster, and got the following response: "Actually, there is probalby not a lot of key artwork being done on the film; they are making a decision in the next couple of weeks on the release date; it will come up on the studio's radar after that." Some readers have reported that the CIC has been rather slow over the past few days. The problem was identified as a faulty ethernet port, it should be fixed now. Today in 2669 Confed destroyed Loki VI in a field test of the Behemoth. Unfortunately she was fated to never leave the Loki System intact. PCGamer (IGN PC) put up a small blurb about Episode Two of Secret Ops yesterday evening. No new information, but if you're curious, you can find it here. Thanks to Nighthawk. If you find something you think might be newsworthy, click on the "Report News" link above. There are some out there who haven't downloaded Episode Two of Secret Ops fearing another large download such as the main package that included Episode One. This is not the case however. Episode Two is only 482 kilobytes, a very manageable download. Find it in the Episode Two area of Secret Ops, you do not need your password to download it. The episode 2 download is now available from Secret Ops!Download the file from the Secret Ops download page, and simply run the file to install. Online many people are wondering when the Episode Two download for Secret Ops will be available. This is a reminder that Origin operates in Central US time. The missions should be available around noon CST on Thursdays. We'll have the news here when they become available. The third installment of the episode two fiction is now up, and there are new Eyes Only and ISDN articles at Secret Ops. Again, the fiction is slightly different depending on what password you enter. Tomorrow, the episode two missions will be available so the CIC will let you know as soon as the download becomes available. The downloadable missions for Episode Two of Secret Ops are fast approaching. If you haven't downloaded this amazing game yet, the CIC has a list of mirrors here. For those of you who do not know, follow-up Episodes to Secret Ops are only in the singular megabyte range, not anywhere near the size of the main engine. A number of people had difficulty accessing the Episode Two fiction for Secret Ops Tuesday afternoon and evening. Around midnight the situation should have been resolved and everyone should have access now. If you have a problem viewing the fiction in the future, it's most likely temporary, so just check back again later. Hopefully that shouldn't be a problem. Not knowing about Dagger's simultaneous efforts (see below), Locke has edited his WCPAmmo program to included Secret Ops support. Download version 1.1 here. Wow, what a cool update... Chris McCubbin dropped us a line, to let us know the following about the rumored 'Wing Commander Fact Book'... THIS is the sort of product I've waited years for. I promised Chris Reid a few weeks ago that as soon as I got the go-ahead from our publisher I'd give fans the lowdown on the Wing Commander Combat Archives, the "fact book" based on the Wing Commander movie, that IMGS is doing for Harper Prism. First, for those who might need them, introductions. Incan Monkey God Studios is the company formed by the writers and editors that used to be ORIGIN's publications department. Our people have been doing the documentation and official guides to Wing Commander games from WC2 through Prophecy, so when Harper came to us and said, "We have a great idea for a book ... it should be a collection of documents from various sources that describes the world of the film," we said, "You know, it's funny you should mention that..."
The movie book has the working title Wing Commander Combat Archives. It's a 128-page, large trade paperback (Harper Prism's Aliens Technical Manual is another book in the same line, although our book is going to have a somewhat different look and feel). I don't know the exact price or order numbers yet, and of course the release schedule depends on the movie. It's being written by myself and Melissa Tyler, designed by Sharon Freilich and Jennifer Spohrer, and edited by David Ladyman. - History of the Kilrathi war and other significant events. - Pilot and senior officer performance evaluations. - Kilrathi psychology and tactics. - Protocols for carrier flight decks and marine boarding parties. - The physics behind the jump drive. - The secrets of Blair's past. And of course full performance stats on the fighters and cap ships of the Wing Commander Universe. 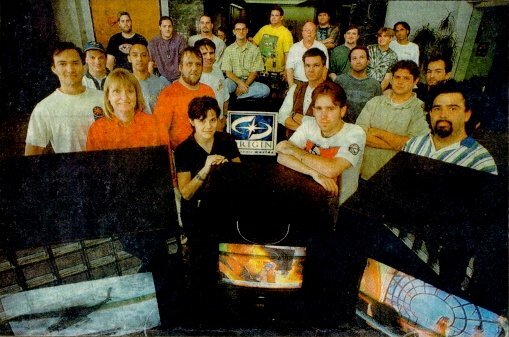 Plus lots more cool, behind-the-scenes stuff about the 27 century world of Wing Commander. This isn't a "making of" the movie book, it's a reference guide to the world of the Wing Commander movie. We've been working closely with Peter Telep, the author of the movie's novelization and subsequent Wing Commander fiction, so expect to see concepts from the Archives reflected in the novels, and vice versa. Trivia has been delayed a week, because server problems last week may not have allowed everyone to play. Dagger dropped me the URL for a replacement executable file for Secret Ops, which lets the player have unlimited missiles and chaffpods. Grab a copy here. Thomas Bruckner has released a new version of his acclaimed WCPEdit! This version (1.51) works with both Prophecy and Secret Ops! Just like we knew he would, HCl has released a Secret Ops editor! Grab a copy of his technology switcher here! The techswitcher allows you to use Secret Ops weapons in Prophecy, and includes a new version of the 'Confed Gauntlet'. It requites an additional patch as well. For those of you having trouble with Locke's Secret Ops ship patch, a trouble free version has been released! Grab it here. Oops, little mistake earlier, Locke's program to add Prophecy's music to Secret Ops is WCPMusic, not SOMusic. SOMusic is for toggling SO's music only. Head on over to Warzone, they've posted an interesting article about what Secret Ops means for the future of game distribution. To anyone who hasn't checked SecretOps.com since this morning, they've added several more pieces of fiction. The new fiction includes several E-Mail messages and a new Eyes Only message. You've got questions, they've got some answers.. The PC Gamer Online site has a three question Q&A page which answers questions about Secret Ops being released on CD. Thanks to Dagger for the news. The Episode Two area of Secret Ops it now back open with today's new fiction! It appears that today's fiction depends on your password from the end of Episode One, so make sure to remember it. 3D Gaming has constructed its own Secret Ops strategy guide. It contains all the episode one information you could ever wish for, and will be updated with new stuff as each episode becomes available. It makes for very good reading so check it out here. It appears that the Episode Two area of Secret Ops has been temporarily closed. This is most likely to fix some problems with the new fiction. Should be nothing to worry about, check the Secret Ops website throughout the day Tuesday or read the CIC here for more information as we get it.